We will try our best to reduce the risk of the custom duties. Label size:2.4x1.4cm. Detail Image. item 1 500 White Strung String Tags Swing Price Tickets Jewelry Retail Tie On Label ! 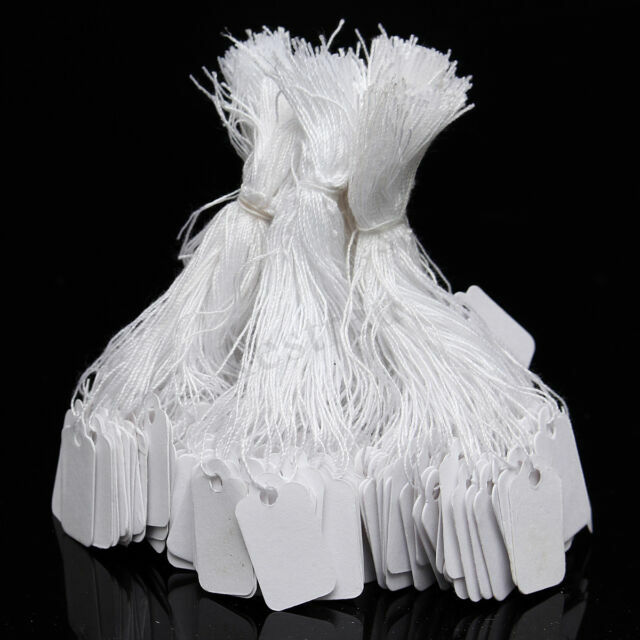 -500 White Strung String Tags Swing Price Tickets Jewelry Retail Tie On Label !